Summer is in full swing here in the Roaring Fork Valley and that means it’s time to hit the patio. In order to make the most of the long days, warm temps and gorgeous surroundings, you might want to find the perfect patio furniture. When we think of ideal patio furniture, there is one brand that always comes to mind: Aspen Teak. Aspen Teak is a family-owned operation with 15 years of experience handcrafting stunning teak furniture for outdoor settings. They only work with sustainably harvested Grade-A teak wood because it is one of the most durable and elegant materials on earth. Thanks to an impressive hardness and density, and an above average oil content, teak stands up to the elements better than most woods and can last for years. We’re not talking about a couple seasons, think more along the lines of a couple generations. Over its 15 years in business, the Aspen Teak has been able to create a truly impressive product line. From beautiful contemporary loungers and benches to tables, chairs, and accessories, we are constantly impressed with the variety of products they offer. Of all the amazing products built by Aspen Teak, the one summertime staple we can’t recommend highly enough is the Aspen Chair (pictured above). The Adirondack style chair is sustainably built and, unlike most chairs in the category, is foldable. 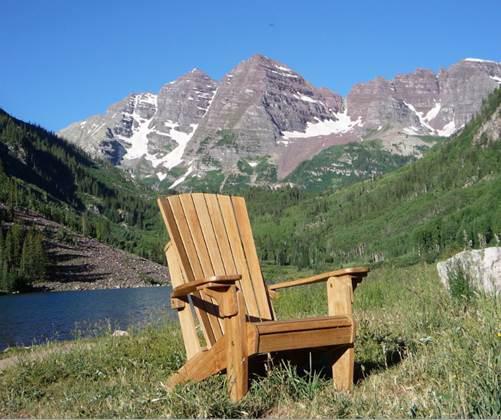 If you haven’t been able to experience Aspen Teak outdoor furniture for yourself, come by Cathers Home and find out why we think it might be the perfect outdoor furniture for summer in the Roaring Fork Valley.